"Llorona was no harmless little pigeon. She was the lechuza, the owl you see just before someone is about to die, the one that haunts you in your dreams and you never want to see in real life because it means you are about to lose someone you love." Llorona is the only girl Guero has ever loved. A wounded soul, she has adopted the name of a ghost from Mexican folklore. True to her namesake, Llorona cast Guero away with the coldness of the apparition she has become. But Guero--though he would never admit it to his friends--still wants to get back together with her. 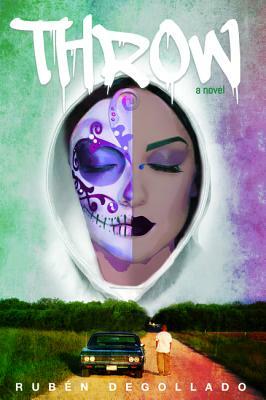 Guero spends time with his friends Angel and Smiley--members of the HCP (Hispanics Causing Panic) gang--roaming the streets of the South Texas border towns they inhabit, trying to forget Llorona even as she seems to appear around every corner. Over three days Guero's increasingly violent confrontations with Llorona's current boyfriend will jeopardize the lives of Angel and Smiley and the love he hopes to regain. As events begin to accelerate toward their conclusion--and gang signs are thrown as both threats and claims of identity--the question arises: will Guero throw the HCP sign, or will he throw off that life? Guero's life will be irrevocably changed by violence and loss, but who will he lose, and will he--somewhere along the way--lose himself?